Ashley Flaherty is Ramos Carreon Salon’s very own expert in Hair Lingerie extensions. Ashley has over 12 years of experience in the hair industry. 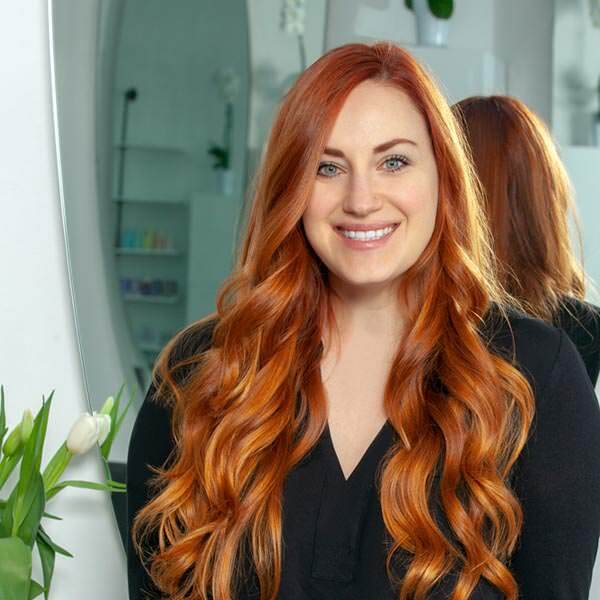 She graduated from Paul Mitchell Cosmetology School in San Diego and still continues her pursues her education to this day. She attends three to four specialty classes a year in order to perfect her craft and stay on top of the latest trends. She has proudly attained her Professional Loreal Balayage Certification. Ashley specializes in luxury blondes, she has mastered achieving the beachy blonde look without risking the integrity of the hair. Ashley’s expertise is in highlights and correcting even the most extreme color corrections. During the early stages of her career, she assisted two senior master stylists at Ramos Carreon Salon along with co-owner Robert Ramos. Working with Robert provided Ashley the opportunity to work with a variety of the industry’s best celebrity clientele. Ashley’s goal is to make every client that sits in her chair leave the salon feeling beautiful and confident.